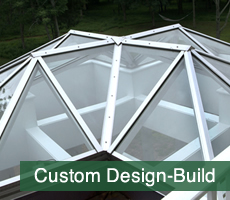 Our Products - Domel, Inc.
DOME’L’s revolutionary self-flashed models feature rugged, thermally insulated aluminum frames that are welded (not screwed together) at the corners to form an impenetrable barrier..
DOME’L works directly with architects and engineers for special designs and shapes, either large or small. 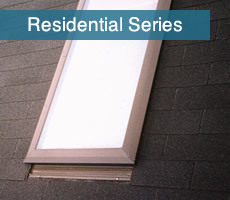 We specialize in natural lighting solutions for new construction or renovations. DOME’L offers a variety of low-cost options to provide natural lighting for warehouses, manufacturing and storage facilities, office buildings and other edifices in need of natural lighting. 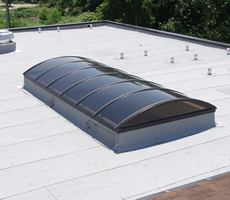 Replace old, existing skylights with new, innovative skylights from DOME’L. 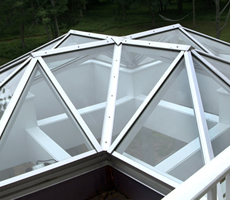 Our custom skylights are fabricated to exact dimensions to eliminate costly interior finish work. 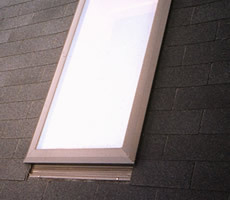 We offer hard-to-find skylight designs for unusual situations. Dome'l is an American manufacturer and distributor of high performance, quality skylights. 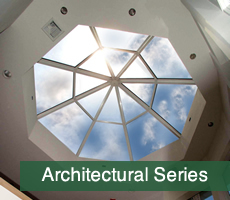 From worry-free residential models to impressive design-build skylight structures, Dome’l has provided high-grade skylight systems at affordable prices for 30 years.